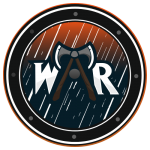 WAR – Wind and Rain – ESBD – eSport-Bund Deutschland e.V. Founded in May of 2017, Wind and Rain began with a clear mission- to become a leading esports organisation in the United Kingdom - and all of Europe - within two years. The first step in our mission was to field a quality, exciting esports product, beginning with League of Legends and then expanding to other titles. Wind and Rain has already realised a successful completion of first stage corporate development. We accomplished this by working with grassroot U.K. and European talent, promoting the U.K. market throughout Europe and establishing a respected, well known brand.